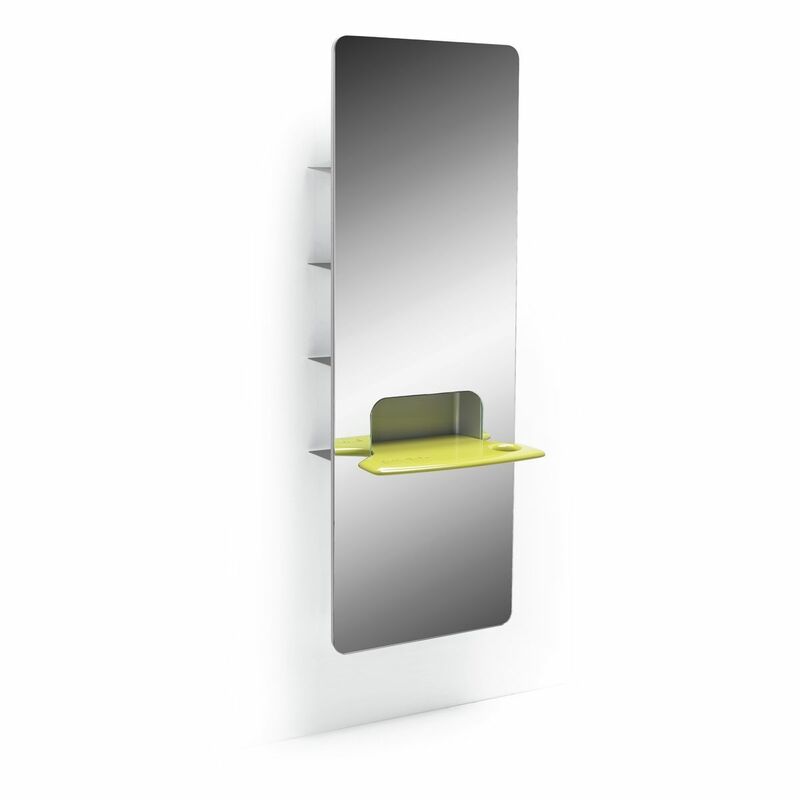 The naked pop station is a wall styling unit with a mirror. The back structure is in prelaminated with a shelf in aluminum. It also comes with a hair dryer holder. Made in Italy.